Comment: This article verifies what I have written about earlier regarding the Founding Fathers and "America's Secret Destiny". Please read my previous two essays for more information: Did the Founding Fathers Betray the American People and Were the Founding Fathers Really Christians?. Further, see my whole sub-section "America's Secret Destiny" under the section "Secret Societies". I found this paper while going through Stephen Ames' files. I am hoping that you will put it out on your E-mail and fax networks. This paper explains and documents very much. It is absolutely mind blowing !!!!!! If you place this paper on your E-mail and fax networks I will be more than happy to respond to people's questions. I have all of the documents cited in this paper and they are available. This paper will shock even those who think that they know what has happened and what is now taking place. The deception is incredible. If the people do not respond to this information we can then truly say that it is over and that we will never be free. This paper is not opinion, but it is fact and is all documented. Now, what people have to realize is there are remedies for the problems that not just America faces, but the World. There are people all over the World that know what is going on and they are doing something about it. People all over America are emerging victorious over the images in their minds. Let us not forget the absolute astonishing amount of debt discharges that have taken place over the last few months. What is happening in America is unbelievable. People are coming out of the delusions, they have figured and realized that the United States is a fiction and that it only exists in our minds. Tens of thousands of people now know that the "United States" does not exist and that it never has. There is no such thing as the National debt or a loan from the bank. Has any one ever seen "current credit money ?" The entire governmental system only exists in your mind. Now, you also have to realize that King George was not just the King of England, he was also the King of France. Treaty of Peace * U.S. 8 Statutes at Large 80. On January 22, 1783 Congress ratified a contract for the repayment of 21 loans that the UNITED STATES had already received dating from February 28, 1778 to July 5, 1782. Now the UNITED STATES Inc. owes the King money which is due January 1, 1788 from King George via France. Is this not incredible the King funded both sides of the War. But there was more work that needed to be done. Now the Articles of Confederation which was declared in force March 1, 1781 States in Article 12 " All bills of credit emitted, monies borrowed, and debts contracted by, or under the authority of Congress, before the assembling of the United States, in pursuance of the present confederation, shall be deemed and considered a charge against the United States, for payment and satisfaction whereof the said United States, and the public faith are hereby solemnly pledged." Now after losing the Revolutionary War, even though the War was nothing more than a move to turn the people into debtors for the King, they were not done yet. 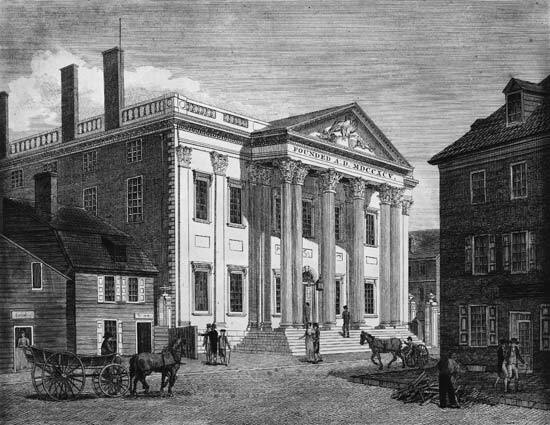 Now the loans were coming due and so a meeting was convened in Annapolis, Maryland, to discuss the economic instability of the country under the Articles of Confederation. Only five States come to the meeting, but there is a call for another meeting to take place in Philadelphia the following year with the express purpose of revising the Articles of Confederation On February 21, 1787 Congress gave approval of the meeting to take place in Philadelphia on May 14, 1787, to revise the Articles of confederation. Something had to be done about the mounting debt. Little did the people know that the so called founding fathers were acutely going to reorganize the United States because it was Bankrupt. 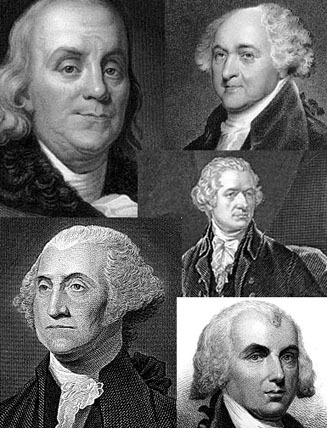 On September 17, 1787 twelve State delegates approve the Constitution. The States have now become Constitutors. Constitutor: In the civil law, one who, by simple agreement, becomes responsible for the payment of another's debt. Blacks Law Dictionary 6th Ed. The States were now liable for the debt owed to the King, but the people of America were not because they were not a party to the Constitution because it was never put to them for a vote On August 4th, 1790 an Act was passed which was Titled.-An Act making provision for the payment of the Debt of the United States. This can be found at 1 U.S. Statutes at Large pages 138-178. This Act for all intents and purposes abolished the States and Created the Districts. If you don't believe it look it up. The Act set up Federal Districts, here in Pennsylvania we got two. In this Act each District was assigned a portion of the debt. The next step was for the states to reorganize their governments which most did in 1790. This had to be done because the States needed to legally bind the people to the debt. The original State Constitutions were never submitted to the people for a vote. So the governments wrote new constitutions and submitted them to people for a vote thereby binding the people to the debts owed to Great Britain. The people became citizens of the State where they resided and ipso facto a citizen of the United States. A citizen is a member of a fictional entity and it is synonymous with subject. What you think is a state is in reality a corporation, in other words, a Person. "Commonwealth of Pennsylvania is Person." 9 F. Supp 272 "Word "person" does not include state. 12 Op Atty Gen 176. There are no states, just corporations. Every body politic on this planet is a corporation. A corporation is an artificial entity, a fiction at law. They only exist in your mind. They are images in your mind, that speak to you. We labor, pledge our property and give our children to a fiction. Now before we go any further let us examine a few things in the Constitution. Article six section one keeps the loans from the King valid it states; All Debts contracted and Engagements entered into, before the Adoption of this Constitution, shall be as valid against the United States under this Constitution, as under the Confederation. Another interesting tidbit can be found at Article One Section Eight clause Two which states that Congress has the power to borrow money on the credit of the United States. This was needed so the United States (Which went into Bankruptcy on January 1, 1788) could borrow money and then because the States were a party to the Constitution they would also be liable for it. The next underhanded move was the creation of The United States Bank in 1791. This was a private Bank of which there were 25,000 shares issued of which 18,000 were held by those in England. The Bank loaned the United States money in exchange for Securities of the United States Now the creditors of the United States which included the King wanted paid the Interest on the loans that were given to the United States. So Alexander Hamilton came up with the great idea of taxing alcohol. The people resisted so George Washington sent out the militia to collect the tax which they did. This has become known as the Whiskey rebellion. It is the Militia's duty to collect taxes. How did the United States collect taxes off of the people if the people are not a party to the Constitution? I'll tell you how. The people are slaves! The United States belongs to the floundering fathers and their posterity and Great Britain. America is nothing more than a Plantation. It always has been. How many times have you seen someone in court attempt to use the Constitution and then the Judge tells him he can't. It is because you are not a party to it. We are SLAVES!! If you don't believe read Padelford, Fay & Co. vs. The Mayor and Aldermen of the City of Savannah. 14 Georgia 438, 520 which states " But, indeed, no private person has a right to complain, by suit in court, on the ground of a breach of the Constitution, the Constitution, it is true, is a compact but he is not a party to it." Now back to the Militia. Just read Article One Section Eight clause (15) which states that it is the militia's job to execute the laws of the Union. Now read Clause (16) Which states that Congress has the power to provide for organizing, arming, and disciplining the Militia, and for governing such part of them as may be employed in the service of the United States.... the Militia is not there to protect you and me, it is their to collect our substance. As you can plainly see all the Constitution did is set up a Military Government to guard the King's commerce and make us slaves. If one goes to 8 U.S. statutes at large 116-132 you will find "The Treaty of Amity, Commerce and Navigation. This Treaty was signed on November 19th, 1794 which was twelve years after the War. Article 2 of the Treaty states that the King's Troops were still occupying the United States. 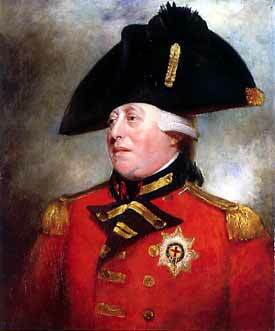 Being the nice King that he was , he decided that the troops would return to England by June 1st, 1796. The troops were still on American soil because, quite frankly the King wanted them here. A Law of the Jews Becomes the Law of the Land, found in "The George Town Law Journal, Vol 71: pages 1179-1200." It is clearly stated in the Law Review that the Jews are the property of the Norman and Anglo-Saxon Kings. It also explains that the Talmud is the law of the land. It explains how the Babylonian Talmud became the law of the land, which is now known as the Uniform Commercial Code. The written credit agreement -- the Jewish shetar is a lien on all property (realty) and today it's called the mortgage! The treatise also explains that the Jews are owned by Great Britain and the Jews are in charge of the Baking system. We are living under the Babylonian Talmud, it is were all of our problems come from. It was brought into England in 1066 and has been enforced by the Pope, Kings and the Christian churches ever since. It is total and relentless mind control, people are taught to believe in things that do not exist. "The primary control and custody of infant is with the government" Tillman V. Roberts. 108 So. 62 " Marriage is a civil contract to which there are three parties-the husband, the wife and the state." Van Koten v. Van Koten. 154 N.E. 146. "The ultimate ownership of all property is in the State: individual so-called "ownership" is only by virtue of Government, i.e. law amounting to mere user; and use must be in accordance with law and subordinate to the necessities of the State. Senate Document No. 43 73rd Congress 1st Session. (Brown v. Welch supra) You own no Property because you are a slave. Really you are worse off than a slave because you are also a debtor. "The right of traffic or the transmission of property, as an absolute inalienable right, is one which has never existed since governments were instituted, and never can exist under government." Wynehamer v. The People. 13 N.Y. Rep.378, 481 Great Britain to this day collects taxes from the American people. The IRS is not an Agency of the United States Government. All taxpayers have an Individual Master File which is in code. By using IRS Publication 6209, which is over 400 pages, there is a blocking series which shows the taxpayer the type of tax that is being paid. Most taxpayers fall under a 300-399 blocking series, which 6209 states is reserved, but by going to BMF 300-399 which is the Business Master File in 6209 prior to 1991, this was U.S.-U.K. Tax Claims, meaning taxpayers are considered a business and involved in commerce and are held liable for taxes via a treaty between the U.S. and the U.K., payable to the U.K. The form that is supposed to be used for this is form 8288, FIRPTA-Foreign Investment Real Property Tax Account. The 8288 form is in the Law Enforcement Manual of the IRS, chapter 3. The OMB's-paper-Office of Management and Budget, in the Department of Treasury, List of Active Information collections, Approved Under Paperwork Reduction Act is where form 8288 is found under OMB number 1545-0902, which says U.S. with holding tax return for dispositions by foreign persons, of U.S. Form #8288, #8288a. These codes have since been changed to read as follows: IMF 300-309, Barred Assessment, CP 55 generated valid for MFT-30, which is the code for the 1040 form. IMF 310-399 reads the same as IMF 300-309, BMF 390-399 reads U.S.-U.K. Tax Treaty Claims. Isn't it INCREDIBLE that a 1040 form is a payment of a tax to the U.K. Everybody is always looking to 26 U.S.C. for the law that makes one liable for the so called Income Tax but, it is not in there because it is not a Tax, it is debt collection through a private contract called the Constitution of the United States Article Six, Section One. and various agreements. Is a cow paying an income tax when the machine gets connected to it's udders ? The answer is no. I have never known a cow that owns property or has been compensated for its labor. You own nothing that your labor has ever produced. You don't even own your labor or yourself. Your labor is measured in current credit money. You are allowed to retain a small portion of your labor so that you can have food, clothing shelter and most of all breed more slaves. Did you ever notice how many of the other slaves get upset if you try to retain your labor. You are called an extremist, terrorist and sometimes even a freeman. They say that you are anti-government. When the truth of the matter is you just don't want to be a slave. But, you do not have the right to force others to be free if they want to be a slave; that is entirely up to them. If they won't bow down and worship corporations, let them. 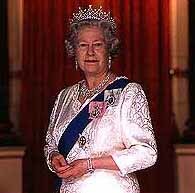 The United States, Great Britain and the Pope are not the problem, it is the other slaves. We would be free if the want-to-be-slaves were gone. The United States, Great Britain and the Pope would not even exist, because no one would acknowledge them. I for a matter of fact, think that those who are in power are also tired of the slaves. If the Sovereign Pontiff should nevertheless, insist on his law being observed he must be obeyed. Bened. XIV., De Syn. Dioec, lib, ix., c. vii., n. 4. Prati, 1844. Pontifical laws moreover become obligatory without being accepted or confirmed by secular rulers. Syllabus, prop. 28, 29, 44. Hence the jus nationale, (Federal Law) or the exceptional ecclesiastical laws prevalent in the United States, may be abolished at any time by the Sovereign Pontiff. Elements of Ecclesiastical Law. Vol. I 53-54. So could this be shown that the Pope rules the world? The Pope is the ultimate owner of everything in the World. See Treaty of 1213, Papal Bull of 1455 and 1492. I could go on and on, this is just the tip of the iceberg. Don't let this information scare you because without it you cannot be free. You have to understand that all slavery and freedom originates in the mind. When your mind allows you to accept and understand that the United States, Great Britain and the Vatican are corporations which are nothing but fictional entities which have been placed into your mind, you will understand that your slavery was because you believed a lie. 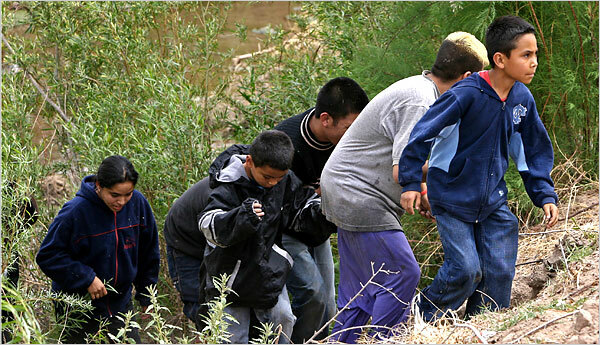 There are approximately 18 million Mexican immigrants living in the United States today. Out of that 18 million, it is estimated that 3 million, or nearly 20 percent, are illegal aliens. Those 18 million Mexicans present a growing threat to America’s self-determination because many play a dual citizenship role officially encouraged by the Mexican government. This is no secret; it’s all in Mexico’s official "National Plan of Development 2001-2006." This shocking document is a five-year plan full of political rhetoric emphasizing planned improvements for every aspect of Mexico’s infrastructure, but it also lays out specific strategies for expanding the nation’s political reach far beyond the US-Mexico border. In other words, Mexico is systematically trying to cultivate dual loyalties, i.e. disloyalty, among its ethnic compatriots in America. This is a naked expansion of Mexico’s national interest at the expense of ours; the mystery is why we are tolerating it. "Globalization" is the buzzword that appears numerous times throughout Mexico’s plan. To achieve that goal, the Mexican government is counting on its citizens living abroad to strengthen Mexico’s influence throughout North America. The Mexican government is demanding that we give all Mexican illegals a free pass, and also support them with numerous social services paid for by American taxpayers. Some of these – like free medical care -- we do not even provide to our own citizens. Mexico’s plan specifically outlines its intent concerning Mexican citizens who have entered the United States illegally in a subsection titled "Defense Of Mexicans Abroad." The plan states: "It is important to note that even if Mexico has achieved a number of agreements and mechanisms to ensure better treatment of our countrymen abroad, the issue of migration, especially in the United States, needs a new focus over the long term to permit the movement and residence of Mexican nationals to be safe, comfortable, legal and orderly, and the attitude of police persecution of this phenomenon must be abandoned and it must be perceived as a labor and social phenomenon." In other words, nothing is illegal and we are not a nation of laws any more, only markets. 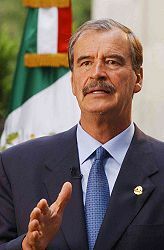 In a television interview in 2000, Mexico’s President Vincente [sic] Fox made his country’s intentions clear concerning the balance of power in the Western Hemisphere: "I'm talking about a community of North America, an integrated agreement of Canada, the United States, and Mexico in the long term, 20, 30, 40 years from now. And this means that some of the steps we can take are, for instance, to agree that in five years we will make this convergence on economic variables. That may mean in 10 years we can open up that border when we have reduced the gap in salaries and income." [ref_2] In other words, his stated long-term goal is the abolition of the border between the US and Mexico. This is a polite way of saying an end to America’s distinct nationhood, i.e. to our nationhood, period. We are to be dragged down to the level of the corrupt, impoverished, backward, crony-capitalist disaster – a nation whose citizens evaluate quite honestly by fleeing at the rate of millions per decade – on our southern border. On the surface, Mexico’s Globalists vision for economic unity seems innocent, but it’s likely to create a very dangerous situation for America. Unlike our nation of mixed nationalities with various loyalties, Mexicans are extremely nationalistic, and they usually side with their homeland first on all issues. Considering that Hispanics are now the largest minority group in America at 12.6 percent, and Mexicans make up half of that population, the Mexican government is well on its way to wielding significant influence over U.S. policy by relying on the loyalties of their 18 million dual citizens. Another disturbing section of Mexico’s National Plan concerns the government’s effort to set up illegal immigrants with special identification cards, allowing them to open bank accounts and acquire driver’s licenses anywhere in the United States. Basically, any Mexican illegal alien can walk into the nearest Mexican consulate with $29 and walk out with a "consulate card". These cards are officially recognized in Mexico allowing illegal immigrants to operate on both sides of the border. Although the cards have been available for many years, they have not been officially recognized in America as proper identification until recently. In 2001, the reliably-ultraliberal San Francisco combined city and county government unanimously passed a resolution to accept the consulate card as official personal identification. Since that first resolution, law enforcement agencies and municipalities throughout California and other parts of the United States, have also gone on to make exceptions for illegal Mexicans by accepting the cards. This is the first step toward making Mexican border jumpers legal by giving them blanket amnesty, something Vincente Fox has openly called for during immigration talks with the United States. With a sagging economy and many unrealized campaign promises, Mexico’s leader is fighting for his political life inside what is essentially a third world country. Now, with his old friend and "Border Buddy" President Bush firmly in tow, Vincente Fox is pushing for the eventual abolishment of the US-Mexico border. Such easing of border restrictions would serve as a release valve for the most desperate unemployed Mexicans, thus relieving Mexico’s financial obligation to support its’ poorest citizens. Moreover, free movement across the border would allow Mexican workers to earn their money in the U.S. and spend it back in Mexico. Just as their national plan dictates, the Fox administration is also encouraging Mexican immigrants to officially participate in Mexican politics from within the United States. In 2001, Mexico passed a law allowing dual citizenship for any Mexican national living abroad, legal or otherwise. In addition, Fox visited California several times this year to campaign for stronger absentee ballot turnouts on behalf of all the Mexican nationals living in the United States. Their dual citizenship law is a major weapon in Mexico’s battle for a piece of the American political pie, but it’s only part of an infiltration campaign that started many years ago. During the past fifty years, Mexico’s dual loyalists have entered every facet of American society, including many public offices now held by the sons and daughters of Mexicans who originally entered the United States illegally, just to be redeemed by past amnesty programs. For decades they have slowly but relentlessly been taking control of local and state governments throughout the American Southwest. Although these Mexican-Americans were born and raised in the United States, many of them openly put their loyalty to Mexico before their loyalty to America. What other ethnic group in America would we tolerate this from? (When some German-Americans flirted with Hitler in their Bund organization in the 30’s, this so shamed their reputation as an ethnic group that they are now – despite being the largest ethnic group in America – also one of the most silent in terms of explicit ethnic self-expression.) Today, the Mexican loyalists have become a dominating force in American society, influencing the culture, the language and most importantly, the political process. Thanks to Mexican-American lobbying efforts, California state representatives now officially recognize illegal aliens as "undocumented workers" treating them with a laundry list of special aid programs including free college tuition. Repeat: there are native Americans who can’t afford to go to college, and we are spending taxpayer money to send criminal migrants. In Texas, the state legislature recently conducted an entire legislative session in Spanish, and the story barely made the "B. Block" of local newscasts. Furthermore, the 2000 presidential campaign proved just how important the Hispanic vote is to politicians on the national front. From day one of the campaign, then Texas Governor, George W. Bush, dragged his half Hispanic nephew, George P. Bush to every media event that might garner a sizable Hispanic audience. The plan worked so well that today George W. Bush is described in many Latin American circles as "America’s first Hispanic president" a strange title for a guy who once referred to Mexico’s national language as "Mexican" instead of Spanish. Indeed, Bush’s relationship with Mexico and Vincente Fox goes back long before his bid for the presidency. The two were Governors at the same time, and they met regularly over the years concerning various issues including border security, energy production, and trade policy. Then during Bush’s first year as president, he and Fox met four times to discuss US - Mexican relations. In the fall of 2001, Bush publicly mentioned the possibility of a new amnesty program for Mexican illegals, but things cooled dramatically after the 911 attacks. Today however, Bush and Fox are back on the fast track to negotiating Mexico’s plans for economic and political expansion. After the latest meeting of the US-Mexico Binational Commission (BNC) on November 26, the U.S. State Department confirmed that cabinet members from both sides signed a number of important agreements. One agreement that stands out is the "Bilateral Income Tax Treaty" that amends an existing bilateral income tax treaty between the two nations, thus allowing significant reductions in taxes on dividends, which officials say "will further facilitate cross-border trade and investment." If fully ratified by both nations, this treaty will allow major corporations to invest in either country without being taxed at home on profits earned from across the border, thus merging our economies one step beyond NAFTA. "The only thing necessary for the triumph of evil - is for good men to do nothing." [ref_2] ^ See section "The North American Union" for more information. [ref_3] ^ There is a lot more to learn about this, and there is more solid evidence backing this up. I strongly recommend that you read the online book: "The United States is Still a British Colony", available at TheForbiddenKnowledge.com. 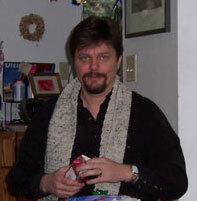 Powered by groups.yahoo.com American Patriot Friends Network "....a network of net workers...."